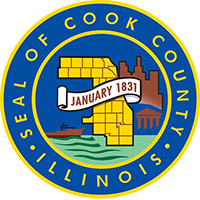 As a subconsultant US Equities and Epstein on a team charged with analyzing and making recommendations for all of Cook County’s real estate, TKB completed the benchmarking, analysis, and preliminary recommendations for all of the County’s “corporate” (i.e., office, highway and warehouse) portfolio. TKB’s work ended in a recommendations that will save the County $56 million over the next 15 years. The total study, also including courts and corrections, and health and hospitals netted over $100 million in savings.